Martha Berry apologizes for having not previously acknowledged the gift from the Katherine Galord Chapter of the DAR, which is deeply appreciated. 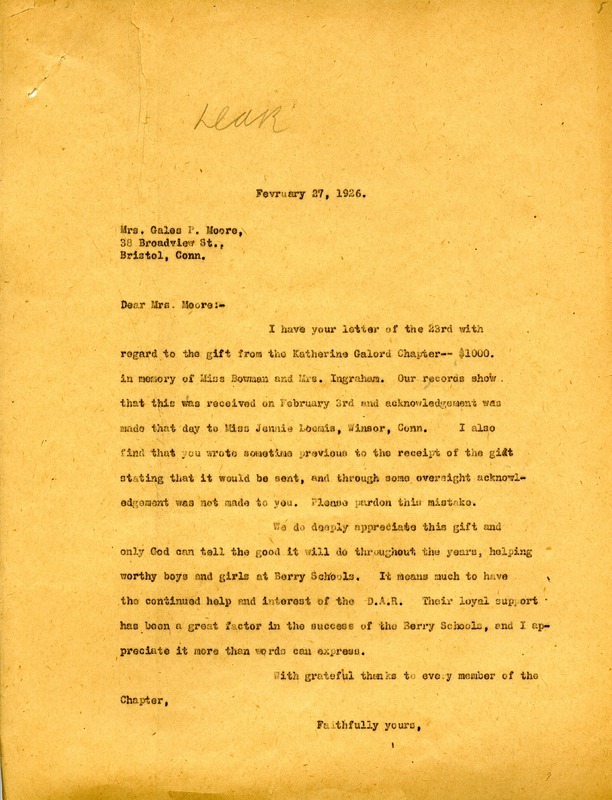 Martha Berry, “Letter from Martha Berry to Mrs. Gales P. Moore.” Martha Berry Digital Archive. Eds. Schlitz, Stephanie A., Jordan Brannen, Sherre Harrington, et al. Mount Berry: Berry College, 2012. accessed April 22, 2019, https://mbda.berry.edu/items/show/2056.